I had a pretty bad day Friday and Saturday. 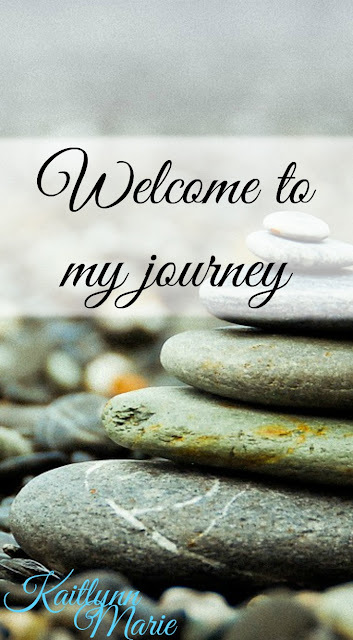 Something got way out of hand, and while it didn't upset me too terribly, it soured my mood. I took the day off work (shhh!) and went shopping with Amanda and Bug. We went to the Tanger Outlet Mall at Foxwoods in North Stonington. Foxwoods is only about 20 minutes from where I live. In fact, both casinos are, just in different directions. So we drove to the casino and finally found parking. Anyone that has ever been to a casino, or other place similar, knows how parking can be. Then we went inside and got stuck riding a very full elevator. I am not a fan of elevators to begin with, but when they're that full? Ugh. We literally stopped at a floor and this woman gasped and said "whoa." The look on her face was priceless, but the reason for it still sucked. I hate elevators. Then we had to take an escalator, which I also hate. We had only one goal in mind, and that was to get me some jeans from Torrid. The problem is that the store apparently doesn't stock my size, which I didn't learn until we were there. We looked around, and Amanda finally found two pairs of jeggings. I decided on one, because they were cute and on clearance. But while she was looking for jeans, I was at the clearance wall looking at shirts. I hadn't planned on buying shirts, but I found one and Amanda found one that I loved. The one Amanda found is a really pretty, flowy long sleeved blouse. It's lacy on the top, and around the elbow area. The outer layer is like a chiffon and the under layer is a silky, but not silk, material. I couldn't find the exact one, maybe because it was on clearance, but this is similar to the lace and this is pretty much the sleeve. Then I found this one, which I also can't find on their website. It's a tee with skulls and flowers and I thought it was so cute! Amanda didn't love it, but it's not really her style. I did find it on Amazon though! I didn't pay this price, as it was on clearance. And clearance was also buy one get one 50% off. And then for what I actually came for: jeans. I actually ended up having to get jeggings, because they don't carry my size jeans in the store often. I can always buy it online and save on shipping by picking it up in store, but I don't know if it would be any cheaper with gas all the way to the casino. Amanda is the one who found them, they're size 26 jeggings. 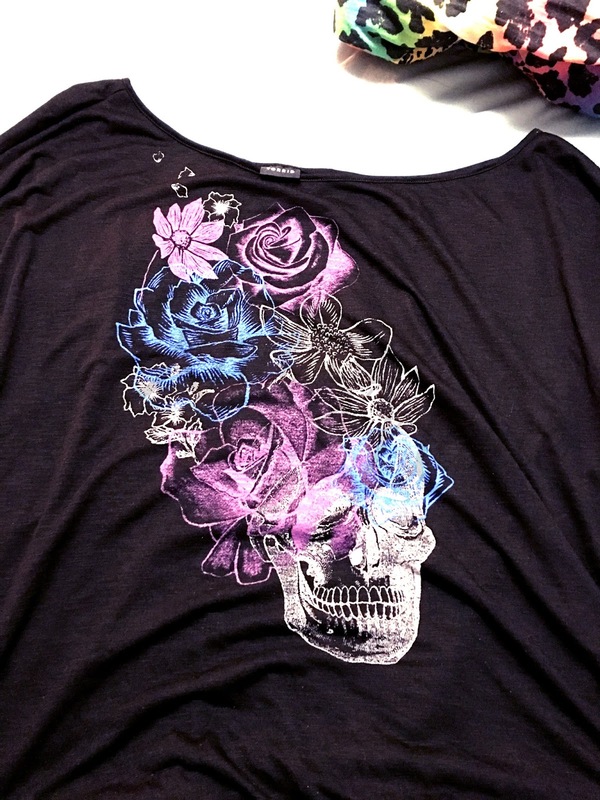 I did find these on the Torrid website, but again I didn't pay full price. All of my purchases were on clearance. I also saved an additional 15% by applying for a Torrid credit card (which I'm sure my rejection letter is in the mail!) I didn't like the fake pockets at first, but the zippers are cute. Also side note: sorry that all the pictures were taken on my bed and they look kinda blah! The only one I took in the store was of me wearing the black blouse. Which I absolutely love by the way! I'm super glad we made the trip. I was disappointed they didn't have my size so we had to root around for pants, but the manager did say she expects they'll be getting more of the bigger sizes soon because they've been getting a lot of 5's lately. I do think I'll shop there a bit more, but this was really a splurge. Even with everything being on clearance, and the extra 15%, it was still over $80 for three things. Amanda thinks I'm crazy, but I think the clothes last and fit well. It's a worthy investment, especially when you can rarely find clothes to fit at places like WalMart and Target. 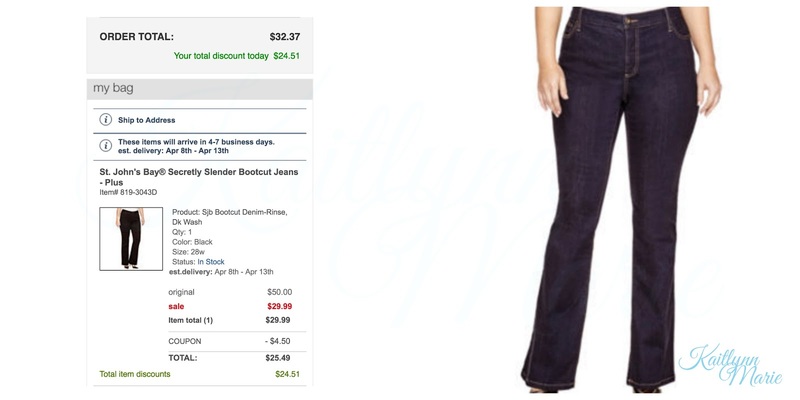 Also, I was just messing around looking at JC Penney's website, because that's where I got my jeans last time. I found these on sale. They were originally $50, but have a 40% sale so now they're $29. But then at check out I found a coupon for an additional 15% off. Which means they were effectively 55% off. Shipping was only $4.95. I literally just paid $32 and change including shipping and tax for $50 jeans! 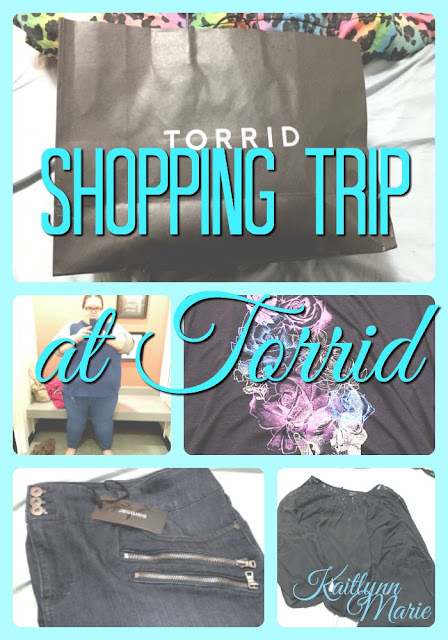 Do you shop at Torrid? Would you ever pay $80 for two shirts and a pair of jeggings? Am I crazy? Let me know in the comments below! I LOVE that shirt! It's super cute! I honestly hate paying for clothes... I've been using Swagbucks to redeem for a Target gift card, then buying from the clearance section. :P I'd probably pay more for jeans, though... my problem is my waist is little and my thighs and hips are huge so it's really hard to find jeans that fit! My cousin has the same problem and she hates it! 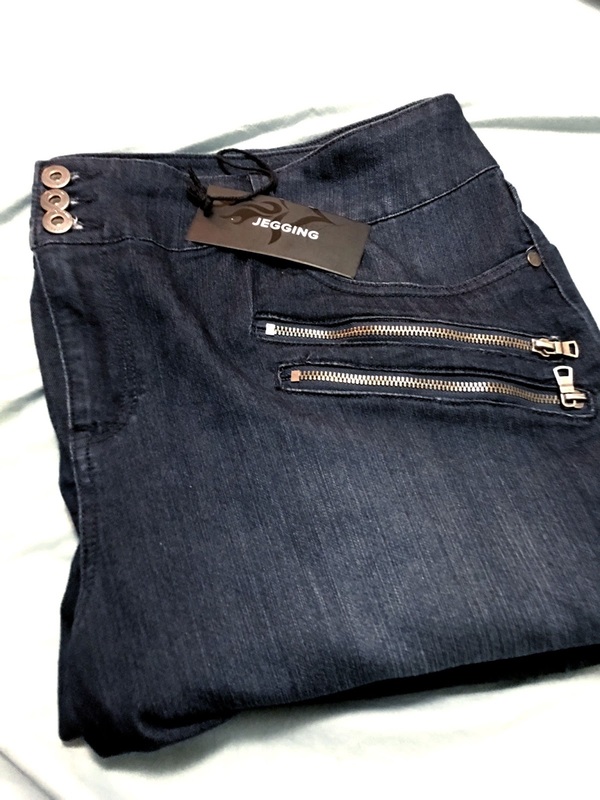 When it comes to clothes I usually don't spend much on shirts, but jeans I'll spend extra on. To me it's worth it because if they're more expensive they're usually better quality and will last longer.